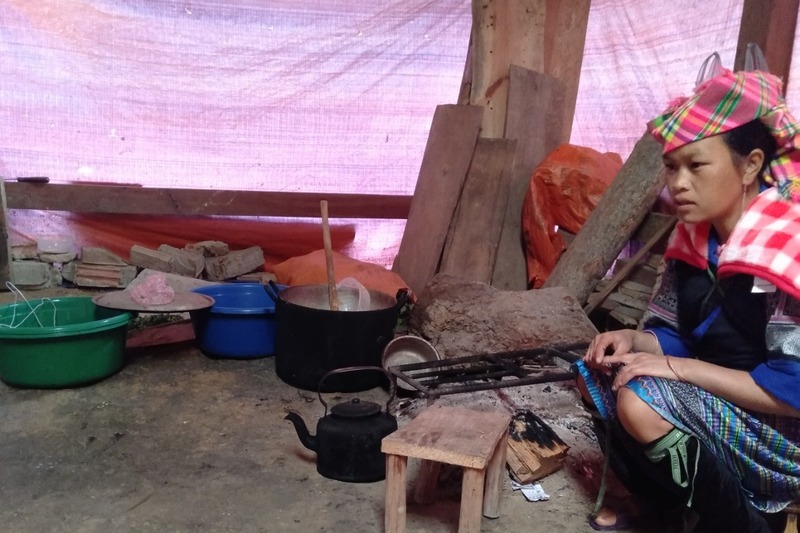 The vulnerable Hmong people in North Vietnam need our support this winter – Please read on for information about how you can help. My name is Ben Neoh and earlier this year I spent six months living and volunteering in far North Vietnam working with disadvantaged minority youth. These minority groups are disadvantaged due to their remote mountainous location, having difficult land to farm with, lacking access to employment opportunities and not having enough resources for furthering their education. I witnessed the poor conditions that these communities are having to endure and it broke my heart knowing that I didn't have the resources to help. 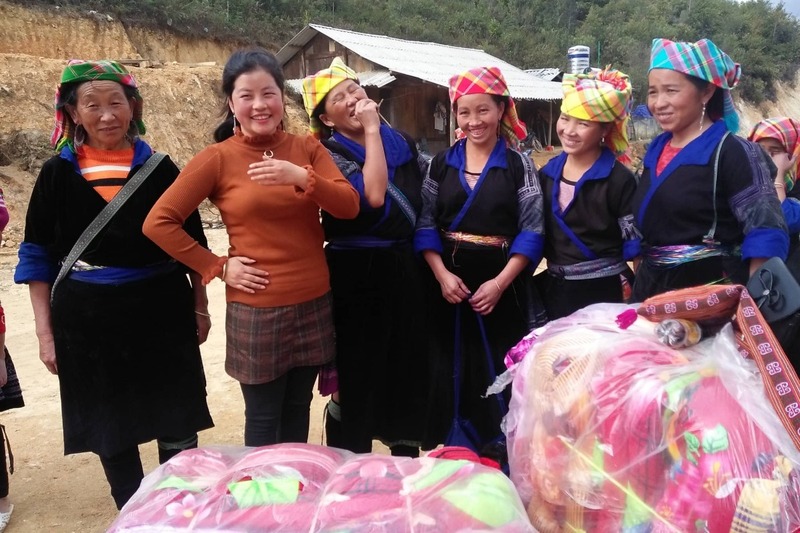 I am currently working directly with the Hmong communities in Mù Cang Chải to gather information about their needs and have since learned that there are approximately 67 poor, disadvantaged families who have listed warm blankets and clothes to be their number one need. A further half of these families listed having enough rice to ration over this challenging time of year as a top priority. This second issue is due to being unable to grow enough rice throughout the year because of the limited dry land that they have to farm with and the stark climate changes affecting their yield. Around Mù Cang Chải, the temperature can often drop to ZERO degrees overnight. 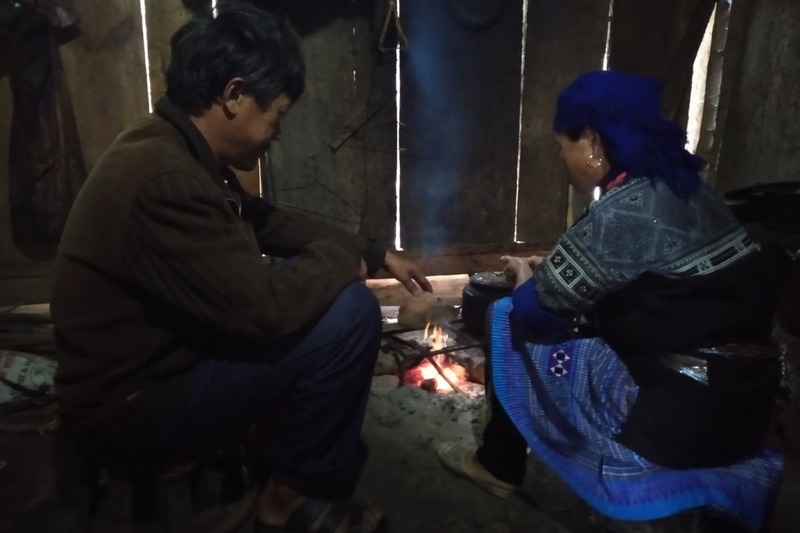 Many of these Hmong families are forced to endure these harsh conditions without heaters, enough warm clothes and blankets, or basic staple foods. Being from Victoria, we understand what zero degrees means, though most of us are fortunate enough to stay warm and have access to food. 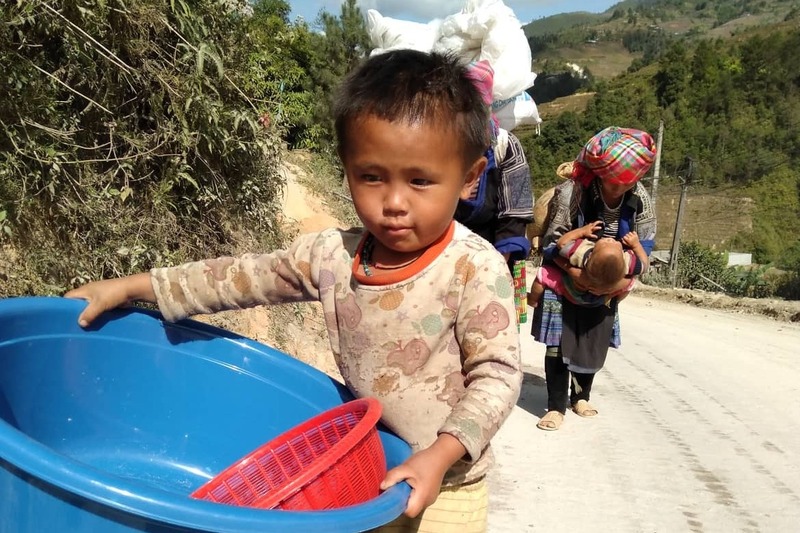 For the people in Mù Cang Chải, the winter months render already vulnerable communities susceptible to illness, fatigue, and malnourishment, which then leads to poor work and education outcomes, reduced incomes and heavy financial burdens that continue to follow them throughout the year. I will be returning to Mù Cang Chải in late January 2019. I hope to have reached our fundraising goal and purchased the supplies so I can deliver the relief to affected families in time for the winter. The winter weather in Mù Cang Chải can span from November until March. I will, however, keep this page running if we do not reach our goal amount so, it's possible to continue fundraising until we do achieve our intended mission. Any additional funds needed for resources such as transport will be covered by me and some of the better off Hmong community members who are helping me organize this relief who wish to support and give back to their own people. The relief we end up providing will depend solely on the funds that we can raise. If we do not raise our goal amount by the end of January, we will do what we can for the most disadvantaged first until there is no more funding left. With the funds we do receive, we will document the progress we make through actual expenditure, provide updates in supplying relief and document the responses from the community through written updates here on this page. We will possibly include photos/video too - so please stay posted with our journey whether or not you're able to donate. This is a temporary relief to a greater issue, but we know the relationships we'll build through running this initiative will create a strong foundation for longer-term work in the future. We hope to work with the Hmong communities in Mù Cang Chải to further build their community so that the burdens they face can be reduced. Through reducing their burdens, people can be empowered to reach their fullest potential and create a healthy and financially sustainable community. If you have read this far, thank you! Thank you to anyone interested in this initiative, to anyone considering donating and to anyone who shows support in any way they can. 1. Make A Donation, of any amount. Even one cent will get us closer to our goal so do not underestimate a small contribution because it will go towards a much larger difference. Also, if you do not know how or do not feel comfortable donating online, please get in touch and I will collect donations in person. 2. Share this page and ask people who you feel would be interested to get involved. This could be through social media (e.g. Instagram stories, Facebook stories), email, text messages, in-person conversation, and forums of any kind. The more people involved, the more likely we will reach our goal together. 3. Make A Non-Financial Donation, such as offering up a service or product to give away if you or a friend has a business. This is a great way to show your own business community values and receive further exposure to potential customers. You can even donate items of value that you no longer need which I will sell at the local market to go towards our goal amount. 4. Respond! Tell me if you think this is a good idea. Tell me if you think there are ways to improve what I am doing already and please tell me if there's anything else you'd like to know about the relief that we hope to provide. Finally, from the bottom of my heart, thank you for your support! Lan, Sáng, Leizl, Courtney and Angeli. Thanks for your patience on this next update. I have just returned from my trip to Vietnam where I was able to visit one of the main villages that we supported in Xua Long Village. 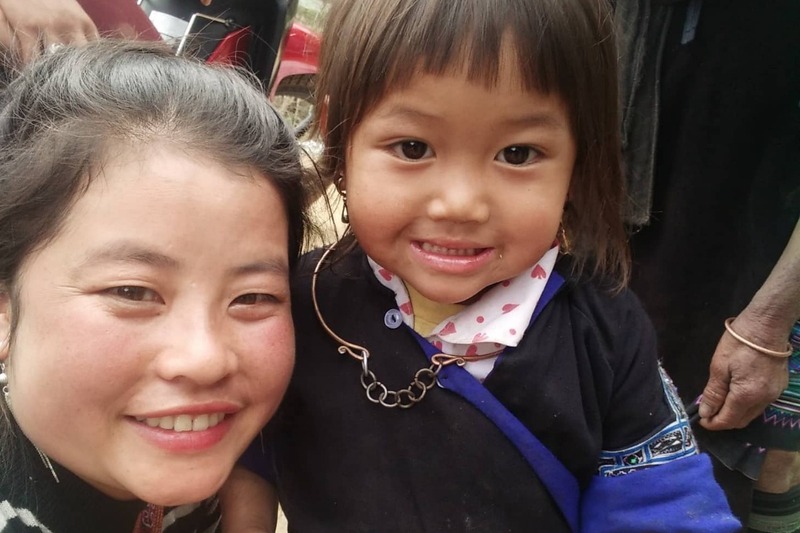 Unfortunately, due to the difficulty of the roads to Hang Sung Village alongside the resources I had I was unable to visit that group of the community we provided relief to. This was also an extremely busy time for all seeing as it was the Lunar New Year at the time so I was fortunate to meet, talk and share time with those that we did (See photo). During the trip a few more things became quite apparent, that there is a large need for greater perspective on the world outside their culture and in general education too if they’re to have the necessary resources to progress to a healthier and more sustainable successful future for themselves. This realization and insight firsthand has sparked ongoing motivation as I return and I am slowly working on the next project which will revolve around sustainable education in the form of workshops with other fellow Hmong people who are educated and successful in areas of ignorance or relevance to their everyday lives. Hopefully, due to starting much earlier with developing this next project we will be able to achieve a lot more than before with this initiative. With all that said I really want to say another big thank you to all who have contributed in some way whether in support or donations as seeing the gratitude on the faces and in the words of those we supported was priceless and I hope in the future we can find a better way of sharing that experience with you all who wish to continue supporting this projects, possibly through video, live stream or some modern and interactive manner. Finally, below is a breakdown of the costs that we covered with the raised funds over the span of this last relief. Please reply if you have any questions on anything. Another day of joy! Today my friend Lan, the local organizer, along with a few other local Hmong helpers were able to deliver the rest of the relief. 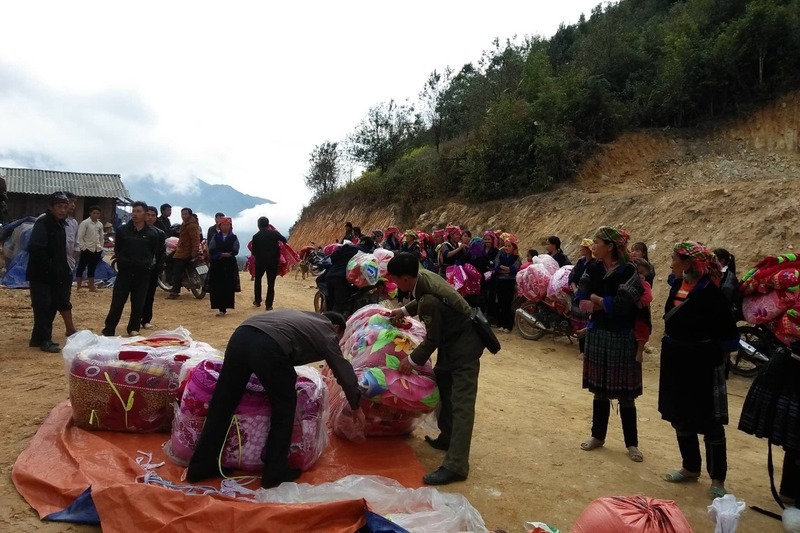 They delivered over 60 more blankets and another 170kg of rice but this time to the disadvantaged Hmong families in Hang Sung Village. The journey there was said to be rocky and narrow but they made it there safely. Again, they were greeted with such happy faces and love could be felt by the whole community Lan said as blankets and rice was distributed. 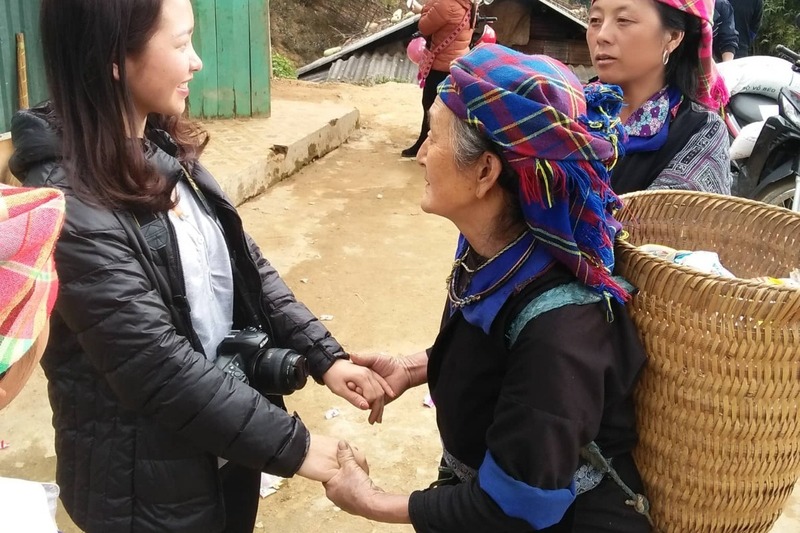 I continue to feel good knowing that this campaign allowed a local Hmong woman from Sapa to connect with her fellow Hmong communities in Vietnam, strengthening and expanding the support for one another. It is always inspiring to see another who comes from a similar place to yourself and succeeding in meeting their fullest potential. I really have to thank Lan again for making this all happen. Without her, we would not have been able to achieve everything we did with this campaign. She not only put in some of her own hard earned money to help but put heart and time into making sure that we did the best job that we could to support these communities. I am forever grateful and I can not wait to thank her in person when I return to Vietnam later this month. Finally to you, the supporters, the people who believed that this was worthy of your time to read, your words to encourage, your efforts to share and also your hard earned money to allow us to provide the much-needed relief that you're able to see within the photos we share. I was so surprised in how much love was given to an idea that was my own and how it was then shared with you all to demonstrate the power of unity, in participation, in big and small contributions to create a much larger opportunity. I really hope you are filled with goodness inside seeing how your support has helped others in need. Let us all continue the year with open hearts, for both giving wholly and receiving gratefully. Exciting news! 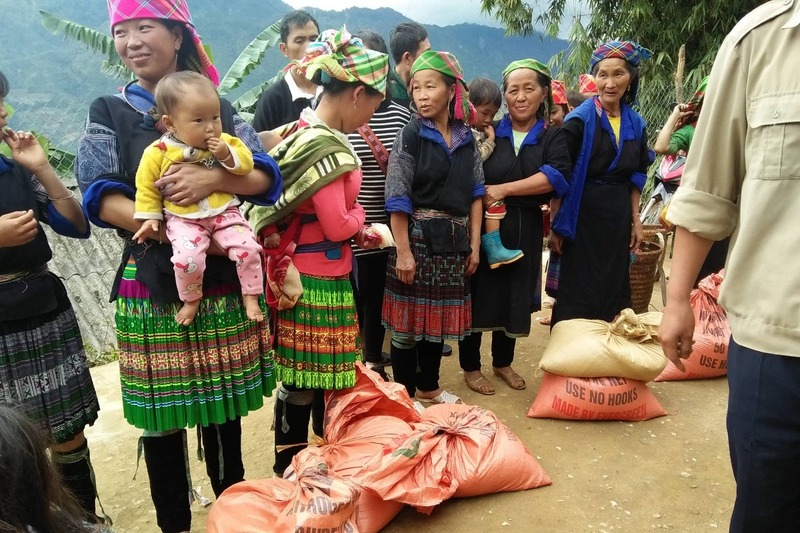 Because of all those who have supported this campaign, today we were able to deliver over 80 blankets and 170kg of rice to the disadvantaged families of Xo Long Village in far north rural Vietnam. With the help of the local relationships that I made on previous trips and the local community in the disadvantaged area, we were able to organize a pickup point where families could come to collect their new blankets and rice. We ensured that relief was given those who genuinely needed it by ticking off their names from the list we had acquired from the local government on which households were most disadvantaged as they collected their relief items. The community was reported to be ecstatic, laughing with happiness and so grateful to receive this much-needed support. I was also extremely happy to hear that the three Hmong women who helped me to deliver this relief today were received with much praise from their fellow Hmong women within the disadvantaged community being spoken of highly for their independence and accomplishments as minority women. This warms my heart greatly as their culture is still evolving when it comes to the role and rights of women within their traditional beliefs. Following the distribution, the community celebrated together with some food and rice wine. Tomorrow we will provide more relief in Hang Sung Village before finalising this initial relief. A small amount has been donated since I provided the first lot of funds, so when I return to these villages to see how they are going since this relief I will be looking to find the best way it can be used to benefit the villages. Though, it may just be in the form of small necessities as it isn't a lot. I want to say a big thank you to all of you who have made this possible. I hope your hearts are as full as mine after hearing about and seeing how your money and support has brought smiles to a disadvantaged community today. More updates to come and specific numbers will be shared post all funds being allocated for transparency. Please be patient with this part. If you have any questions or concerns please get in touch. 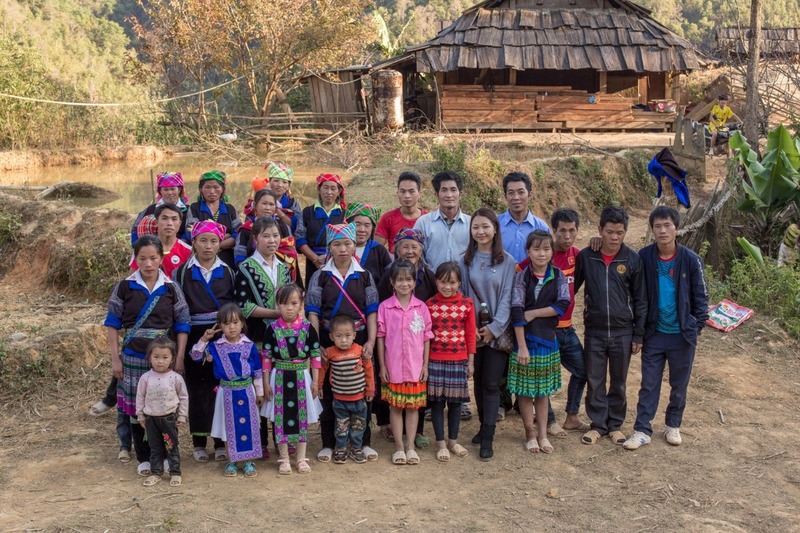 We can now specify the Hmong villages that we are looking to support. They are named Hang Sung and Xo Long. These are both very remote villages and have been identified as two that have a great deal of poverty within the community. After further conversations with local government we have acquired names of each poor household along with the number of people living in each and a list of each families needs. Some will require more warm blankets, some just rice and others both. As the winter has already began in this area we are now looking to provide this relief before I arrive as it will be much more timely and practical logistically due to the resources we have to guide us to the villages along with the time of year I will arrive, which will be during the New Year for the Vietnamese people. 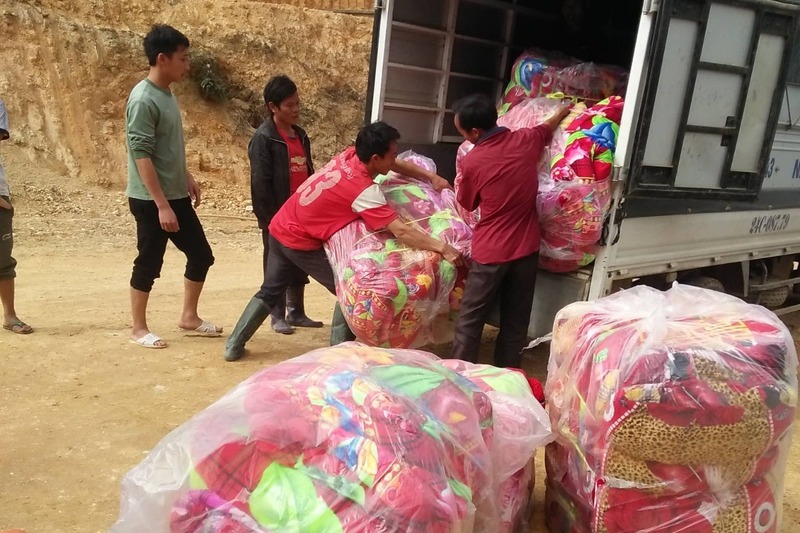 We have since sourced a supplier for the blankets near the Sapa area as the villages are very far from any larger towns with this item. Once we know how many we need and can afford we will purchase these and transport them with a bus that we have organized. The rice required will be bought locally to the area of the villages as this will be more practical logistically, more sustainable and is the preferred kind to the local people’s taste. So far based on our initial budget we can now provide support to 25 families but this may change due to the different needs that we have since acquired and may mean we could be supporting many more. I hope this is the case and we will provide updates on exact numbers once the relief has been conducted and everything has been documented. After a lot of discussion we are now planning to run out the relief in early January prior to my arrival. This means that the main amount of support will be executed then. I will be sending funds to the local organizers of this campaign within the next couple of days to have enough time for the transfer to process and arrive. Any funds donated after this time will still be of great support as I will be returning to the villages when I arrive with the purchasing of more local resources or light/smaller necessities that can be practically transported there. I will be taking donations until the 15th of January as I will need some time for the funds to be transferred through from GoFundMe. For all the donations so far, thank you. We have reached almost 60% of our goal amount in almost two weeks. This way of supporting increases our capacity to help with resources to more families. For all those who have shared this campaign so far, thank you. Every time you share this it spreads awareness and encourages more people to support in whatever way they can. For all those who have liked, comment, private messaged me with words of support, thank you. It can be a lot to organize something like this and it can be discouraging when you don’t receive support from friends or you question your own motivations as it’s obviously a high responsibility role and every bit of support helps to confirm it’s value, it’s a worthy cause, gives me energy to push it further and get more out of myself so that I can do the best with this campaign. For all those who have responded with feedback, suggested edits and concerns, thank you. It has helped me learn a lot more about this process and has helped me to run what I think has been a very successful campaign so far. Starting out as an idea I never thought I would have so much support and it is fuelling a part of me that makes my heart feel so full. If you have any questions or concerns about the changes to the campaign, please get in touch through the platform, facebook, phone or email.